The first outing for Care Racing’s prospective “customer engine”, at the penultimate round of the FFSA French GT Championship at Le Mans this past weekend, was a successful one, and both the FFSA and ACO have expressed interest in the new concept. As already explained on dsc, the V12, developed by Prodrive for Care Racing, does not use restrictors to limit the maximum power output, but instead the power is limited electronically, using electronic throttles and a recording system. Essentially, a customer receives an engine that hasn’t had to undergo the costly development to work at its peak with restrictors. The current method of equalizing (reducing the power of) different engines is very effective, but expensive. 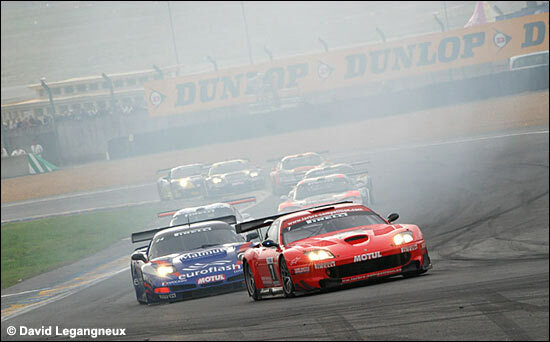 Two othwerwise identical Ferrari 550s were run at Le Mans last weekend by Larbre Compétition. The performance objective for this demonstration was set by Prodrive to be two tenths of a second down from the standard car. 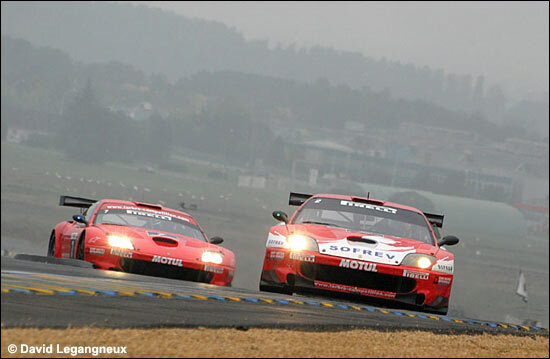 The ‘electronic’ Ferrari, driven by Gabriele Gardel and Olivier Dupard, qualified for both races closely behind the conventional Ferrari 550 Maranello of Jérôme Policand and Gabriel Balthazard. In the first qualifying session the gap between the two was 0.4s, in the second qualifying it was 0.6s. The difference between the fastest race laps of the two cars during race one was 0.4s and in the second race it was 0.14s. Despite qualifying in 10th place and providing a strong showing in the early stages of the first race, a puncture put paid to Gardel and Dupard’s hopes of a top ten finish. The regular SOFREV entry finished in seventh place. For the second of the two one-hour races, Policand qualified in a magnificent second place on the grid, while Gardel (right) placed the nr. 7 car in fifth. Both drivers had a good start and battled well throughout the race with both their competitors and each other, with the two scarlet cars finishing in fifth (Policand / Balthazard) and seventh (Gardel / Dupard). The nr. 7 Ferrari ran without problems all weekend (puncture apart) thereby proving the reliability and performance capabilities of the restrictor-free engine. The new concept will very soon be presented to the FIA for its consideration, and will have one further race with customers in the final round of the French GT Championship – at Magny-Cours, in a few days’ time. Care Racing personnel are hoping that this will help the FFSA, the FIA and ACO to fully understand the objectives and allow the engine to be admitted to a full Championship next season. Further to this demonstration, and in agreement with the authorities, Care Racing has proposed that cars running without restrictors will be equipped with an independent data logger to record throttle position, pedal position, engine speed and wheel speed. This will ensure the integrity of the system and prevent any deception on the part of entrants. Assuming that they do, this system should ensure a new lease of life for the Prodrive-developed Ferrari 550s. Perhaps one day, restrictors will be seen as a thing of the past? 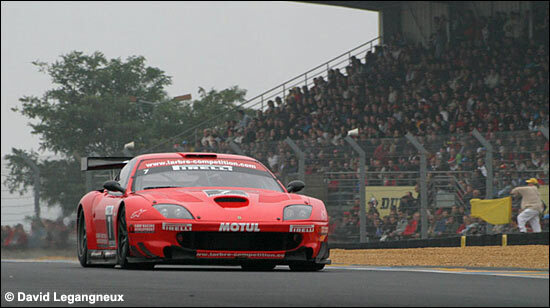 Patrick Bornhauser and Olivier Thévenin will drive the "Low Cost" Ferrari 550 Maranello at Magny-Cours this coming weekend. FFSA GT Champion Patrick Bornhauser is considering racing this car next year. 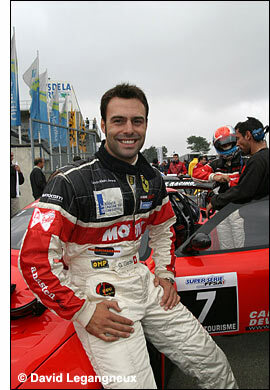 Le Mans was the last race for the two times champion VBM Viper. Additional information, and photographs, from David Legangneux.